The Rheem Lazer Office offers simplicity with efficiency. An attractive asset to any workplace kitchen or boardroom, Rheem Lazer Office is packed with performance features with a clean, sophisticated look. It is available in two stylish finishes — powder coat white and brushed stainless steel. 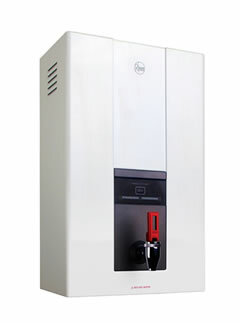 Easy to operate and keep clean, Rheem Lazer Office is available in three and five litre capacities — equating to 20 to 35 cups of ready to use boiling water and 103 cups recovery per hour. The temperature can be set from 70 to 99 degrees, depending on how hot you like your drinks. It’s easy to use with a one-touch button to switch on “Eco Mode” which automatically turns the Lazer Eco off after two hours, reducing power consumption. “Eco Mode” can reduce energy use by over 40%. Easy to Clean - The good looking white powder coat finish is easy to clean and the Lazer Eco comes in 3, 5 and 7.5 litre models delivering up to 50 cups immediately and 103–123 cups of boiling water an hour. 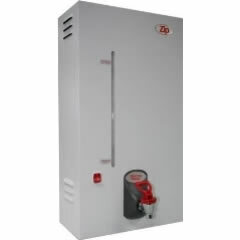 The Rheem Lazer Commercial is a high capacity boiling water system designed for the demands of a busy workplace, sports club, conference centre and more. The Lazer Commercial range has capacities of 7.5, 10, 15, 25 and 40 litres that can deliver from 50–247 cups of boiling water an hour and 103–241 cups per hour recovery. The Rheem Lazer Commercial is energy efficient, safe, and compact. Available in White and Stainless Steel. 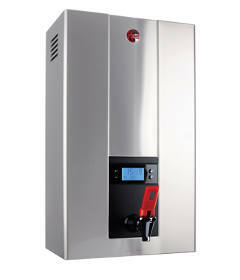 The modular Rheem on-tap series provides a beautifully efficient solution, regardless of your needs and application. 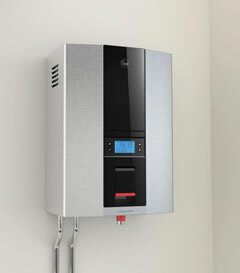 Boiling, chilled and filtered water combinations can be specified with the intelligent Rheem on-tap series. And because it’s from Rheem, you know it's backed by our nation-wide service and support network, as well as our reputation for quality and thoughtful design. 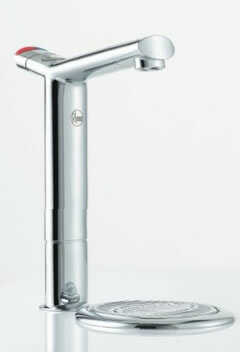 Designed in partnership with architects, interior designers and hydraulic engineers, the Rheem on-tap series provides clear cut advantages in the areas of aesthetics, usability, performance efficiency and installation.